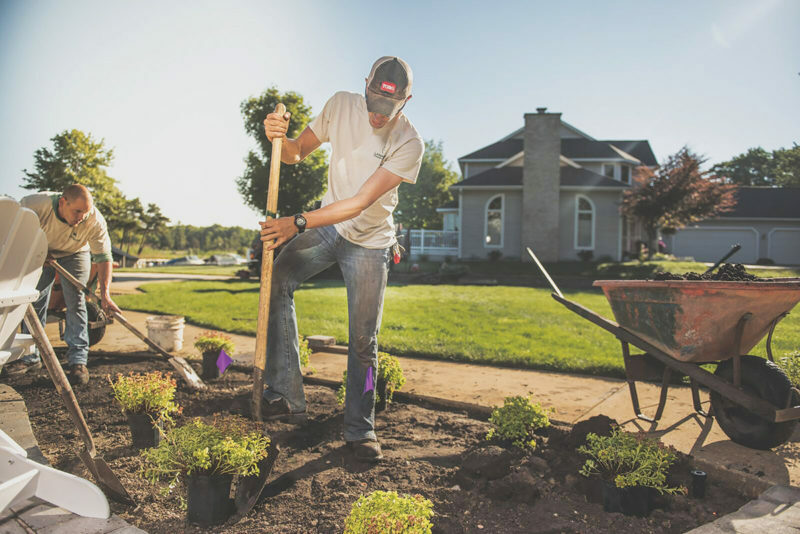 The necessary first step to successful landscaping is to purchase plants that are appropriate for the hardiness zones established by the US Department of Agriculture (USDA) for your region. Many products will note the appropriate zone on their sales tag. 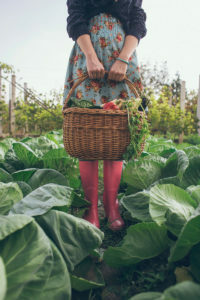 Even within a USDA hardiness zone, there are significant variations in soil, rainfall, and exposure to the elements, and consumers must know the specific conditions of their planting areas to ensure the healthiest gardens. Is the area sunny? Shady? Wet? Dry? What about the condition of the soil? Are the 18 nutrients that plants require for healthy growth present, or do they need to be replenished? Consumers can have their soil tested through the Michigan State University Extension. Testing also prevents unnecessary spending or harming plants by over-applying fertilizers. When you’re shopping, seek out healthy greenery. Make sure the leaves are a healthy green color and that they are full size. Yellow, small leaves are one sign of an unhealthy plant. 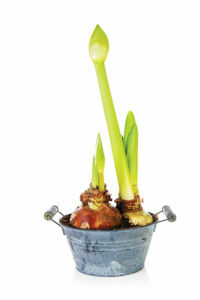 Also, look for sturdy stems and for species that are resistant to diseases and pests. Plants without flowers are more likely to have better root systems. When making selections, it is very important to know the mature size of the plant. It might be small now, but at maturity, that small, three- or four-foot tall Spruce tree will be 50 feet tall and 30 feet wide! Consult the plant tag when considering a purchase to determine the mature size of the tree or shrub, and make sure you have ample space. Perennials can range in size from a couple of inches to a couple of yards, and with proper bed preparation, promise myriad of colorful, sturdy foliage for years to come. ‘Moonbeam’ (Coreopsis verticillate) is one perennial known to flower throughout the season, but again, look for a healthy stem and leaves over a plant with lots of flowers. If the plant is healthy, the flowers will come. When purchasing a tree, look for damage to the trunk. Also look for crossing/rubbing branches in the crown of the plant. The branches should be growing out and away from the trunk. Plants grown in containers or pots, such as annuals, and trees with roots that are “balled and burlapped,” are great for spring planting. Products that have wintered outside will be hearty enough to plant at any time this season. Plants started inside a home or from a commercial greenhouse must be planted only after the danger of frost is past, usually late May. If you are not sure of the local frost date, call your county’s MSU Extension office to find out. Also, these delicate new plants should be “hardened off” — gradually acclimated to outdoor conditions — for several days before planting. Container-grown roses do well when planted in springtime. Shrub roses can survive Michigan winters without extra protection. It’s best to know what you’re capable of and when to ask for help. So, if you’re unsure how to proceed with your plant selection, ask for assistance when you’re at the nursery.